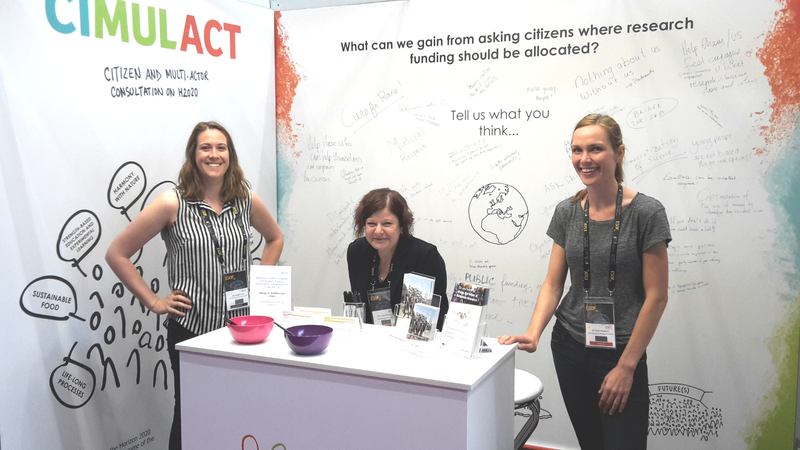 While many people enjoyed the sunny July at the beach a few hundred people came to visit the CIMULACT stand at the ESOF16 conference to discuss and share opinions on how citizens can contribute to research and innovation. ESOF (Euroscience Open Forum) is known as Europe’s largest interdisciplinary science conference and provides a unique platform to exchange knowledge and ideas with a wide range on people interested in science, technology and innovation (STI). 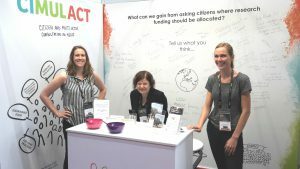 ESOF16 was held in Manchester in the period 24-27 July 2016 and CIMULACT was represented at the conference with a 6 m2 exhibition stand where conference delegates could come and learn about the project and discuss their views on citizen engagement. While the other stands in the exhibition area offered free coffee, candy and postcards, CIMULACT served sustainable snacks of the future -i.e. dehydrated mealworms and crickets and gave space for people to discuss what research and innovation within the field of STI can gain from asking citizens. Scientists, innovators, policy makers, entrepreneurs, journalists and citizens came to the stand and were especially eager to come and taste the snacks. As they were chewing they learned about CIMULACT and wrote their comments on a large white cloth in the back of the stand. 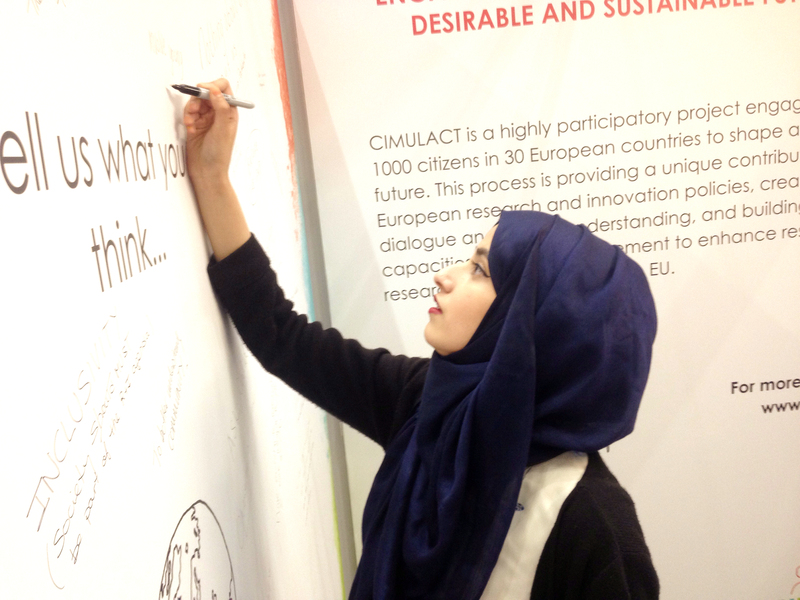 The hundreds of positive and supporting people visiting the CIMULACT stand were overwhelming. The many valuable comments will be presented as feedback to the European Commission and the project partners while they get a leftover bug-snack. CIMULACT was brought to ESOF 2016 by the UK Association for Science and Discovery Centres, TC ASCR and Danish Board of Technology Foundation which are the UK, the Czech and the Danish partners of the CIMULACT project respectively.